I’m a huge fan of rereading. HUGE. There are some books that I will read and reread many times in a row (I call these multi-reads), and there are some books that I will revisit every few years. There’s a pleasure in reading a book the first time, not knowing anything about it, and then reading it through a second time with all the information up front! Not to mention the pleasure of revisiting characters you really loved. 1. 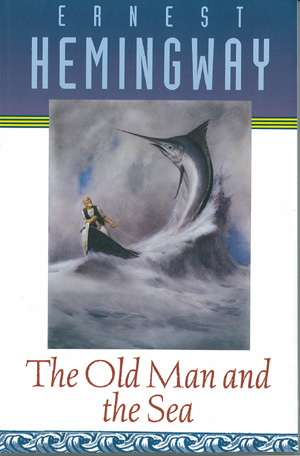 The Old Man and the Sea by Ernest Hemingway – First read in 2001, reread every few years since then, including once on audio (Donald Sutherland!!). I get something new out of this one every time. 2. The Picture of Dorian Gray by Oscar Wilde – Another first-in-2001, and I’ve revisited this one so many times: in print, in audio, in graphic novel form. Remains a favorite reread. 3. Dr. Jekyll and Mr. Hyde by Robert Louis Stevenson – First read in late 2006, and read half a dozen times since then. This one is perfect for revisiting any time I want a fast, atmospheric book. 4. the Mistborn trilogy by Brandon Sanderson – One of the newest on my list, this has become a modern reread favorite. 5. 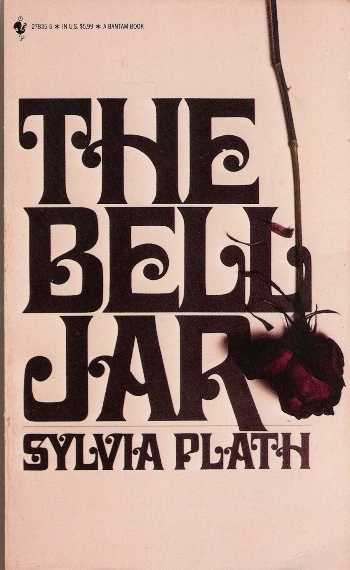 The Bell Jar by Sylvia Plath – First read in 1999, this is one I’ve revisited every 4-5 years. It’s just as powerful every single time. And the audio version is amazing. 6. Howl’s Moving Castle by Diana Wynn Jones – Another newish reread that I seem to already be listening to every single year. 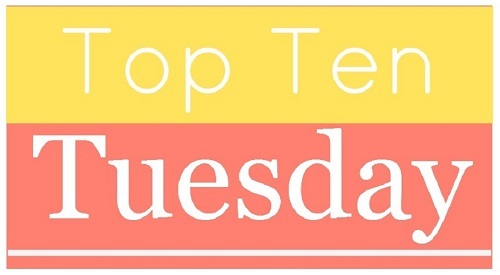 7. the Harry Potter series by JK Rowling – These were multi-reads originally, reread on repeat for about nine months in 2005/2006 when they were the only books I had unpacked. I’ve revisited them every single year since then, until this one…huh. 8. 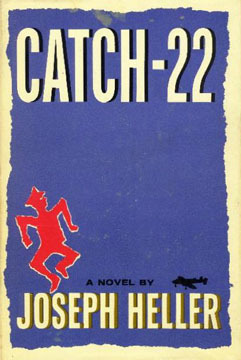 Catch-22 by Joseph Heller – Didn’t even necessarily like/understand this one when I first read it in college, but something about it gripped me, and I’ve read it another 3-4 times since. This one has some of my favorite quotes in it. 9. Jane Eyre by Charlotte Bronte – This is one of those books I’ve revisited in as many forms as possible: print, illustrated print, graphic novel, audiobook, various movies… Each time, it gets better. 10. The Night Circus by Erin Morgenstern – I’ve read this every fall since my first read in 2011 (until I missed it this year, boo!) and I’m sure I’ll continue revisiting the circus every year for quite some time. It’s still fall, so you can still reread The Night Circus! It won’t officially be winter until Dec. 21. Jane Eyre and Howl’s Moving Castle are two of my favorite rereads as well. Also Anansi Boys by Neil Gaiman; A Room with a View by E. M. Forster; and Ethan Frome by Edith Wharton. It’s already snowing here. Doesn’t feel like fall anymore!! Jane Eyre is one book I reread right after finishing it the first time. I love that story so much. Funny thing is, I really haven’t liked a lot of other Hemingway. And those I’ve liked, none have been to the degree of Old Man. It seems to be one of those love it or hate it kinds of books. I feel like Hemingway himself is one of those love-him-or-hate-him type of authors. I’m just so stubborn: I respect his writing in so many ways but it drives me crazy that I don’t like his books! I seem to like him less the older I get, OR I only like his later works, which I read first. Not sure. I haven’t found one I liked in quite some time. Today I mentioned re-reading books I didn’t like the first time in hopes that I’ll like it better the second. File The Old Man and the Sea in that category. 🙂 I think I was too young when I read it the first time. I’d love to re-read Catch-22 one day as well and I need to read Bell Jar for the FIRST time! Great list! I re-read Harry Potter more often than I think is healthy. I used to re-read books all the time. Then I started blogging and yeah… The Harry Potter books I used to re-read before every movie came out at the theaters. Great list! I went through a time when I first started blogging when I stopped rereading books. I missed a lot, and now I’ve gone back to reading more like I did pre-blogging. it’s nice.